Solitaire is a classic card game. 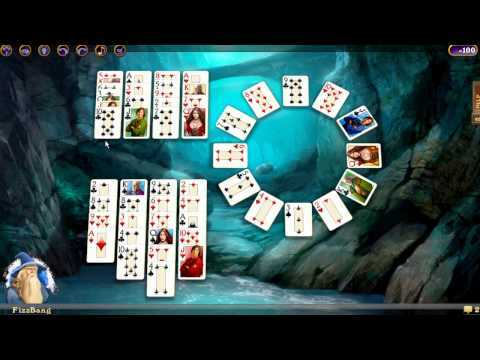 Play a beautiful rendition of 10 classic solitaire games! Specially designed for tablets and phones Hardwood Solitaire IV breathes new life into your favorite solitaire card games with excellent graphics. Enjoy calming solitaire playing environments with ocean waves breaking in the distance. Compare your best scores with players from all over the world, with our online leader board. Enjoy achievement challenges that take the experience from just a single round of solitaire to endless fun. It's customizable with new backgrounds, cards, player avatars and over 100 games that can be added to the game via paid downloadable content. Even add your own backgrounds using your camera! Includes 200 Tokens to use in the In-game store and a free 30 day Plus membership that can be used with our multilayer games. Note, this does not mean Hardwood Solitaire is a 30 day trial, it an extra gift for purchasing this game. For those of you on Phones, we have a deck that is easy to read for small devices. You'll find it in the appearance options. ★ Tip: Use a drag left gesture on an empty area to Undo a move, drag right to advance the pile. ★ Tip: Not only can you drag cards, but you can touch the card you want to move then do a 2nd touch to where you want it to go. ★ Want new features, have suggestions or found a problem? Email your feedback to support@silvercrk.com Be sure to mention the game name and what android device you have.